Botanical hair color is available in various shades. Easy and quick application. 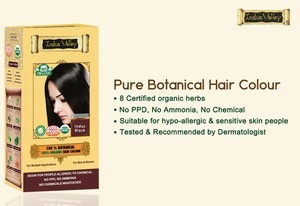 Natural hair color with essence of organic ingredients. Remarkable effect and application. Long lasting luster to the hair. Clinically tested and experimented in labs. Suits best for all types of scalp conditions.